The richness of this traditional village sailor who has been able to modernize and evolve to be a business centre of the Maresme, its tradition seafood, gastronomy and cultural offerings, make it a perfect spot to live, family or not, there is no place for boredom. El Masnou is a village in the province of Barcelona, located on the coast of the Maresme, 17 km northeast of Barcelona, between the villages of Montgat and Premià de Mar, Alella North and Northeast Teià. 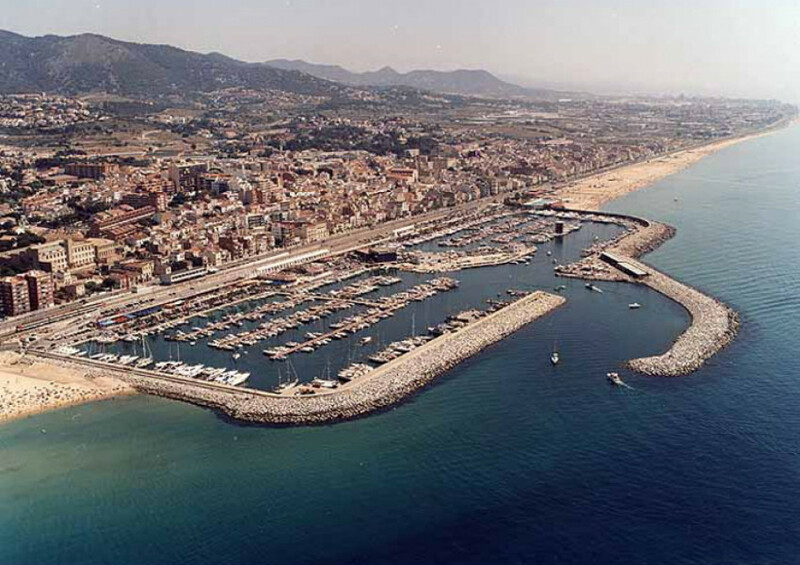 El Masnou is defined as village tradition of seafaring, cultural variety and rich gastronomy. Strong maritime roots give the village of a remarkable nautical activity with a wide range of nautical services, such as the Escola Nàutica, Escola de Vela Club Nautic Masnou or Club Nautic Ocata Vent. In addition to activities such as the Fira Flotant with the best deals from boats sailing and motor boats, jet skis, this fair are present at many large and small companies related to nautical sports. Festivals and activities that you can enjoy include La Festa Major de Sant Pere, starting on June 28 with spectacular fireworks night, and during those days the village is filled with correfocs, cercaviles, concerts and activities for families and children. Also, for lovers of comic theatre, Festival international de Teatre Comic Ple de Riure, in July, which over the years has established itself as a reference for the comic theatre in Catalonia and which goes a large influx of people from all over. In El Masnou, you will find among the points of interest to visit the legacies of its history, such as the Church of Sant Pere i Mirador 1760 or La Casa del Marqués, neoclassical Palace 1902; but it is not a village anchored in the past and multiple are urban projects for the future as the future Parc of the Vallmora. El Masnou stands out for the excellent quality of its restaurants, where you can eat the best sailors dishes and typical Catalan cuisine, also, enjoy international cuisine. In the Marina, as well as some finest restaurants, you can enjoy variety of terraces, ice cream parlors, dance halls, music bars and nightclubs, that make up a vibrant nightlife to the taste of everyone. Be sure to visit El Masnou and its wide beaches. Here HJAPÓN offers spectacular luxury homes that could be your perfect home. It is one of the Europe’s largest nautical. They are present along the coast of the Iberian peninsula and the Balearic Islands with a large organization of brokers and associated marine. With over thirty years of experience, they offer a maximum quality service to its customers. Exclusive importers of the best brands on the market such as Azimut, Benetti, Cobalt, Sacs Marine, Minorchino, Hanse and Moody. They also have a huge opportunity market. Located in the Centre of the village. Xavier Orfila chef delights guests with creative seasonal cuisine and seasonal product. They are defined by creating a product of high quality, new and innovative level accessible to all. Food level, friendly and attentive service and correct price. Catalan cuisine today, that still today part of the past and tradition and that it expects to have bright future. Restaurant in the port of El Masnou that combines traditional tapas and signature cuisine. With a seafood special and own philosophy, its restaurant with terrace is like a nautical Museum. Highly recommended. MINATO is a restaurant where to taste the authentic taste of Japanese cuisine. Based on an excellent selection of ingredients, raw materials, products originating in Japan and a traditional preparation. Mediterranean and market cuisine. It offers wide variety of rice, fish, pastas, salads and meats. In addition you can enjoy a range of tapas. The most sought after is the top of “patatas bravas”, the best in the area.